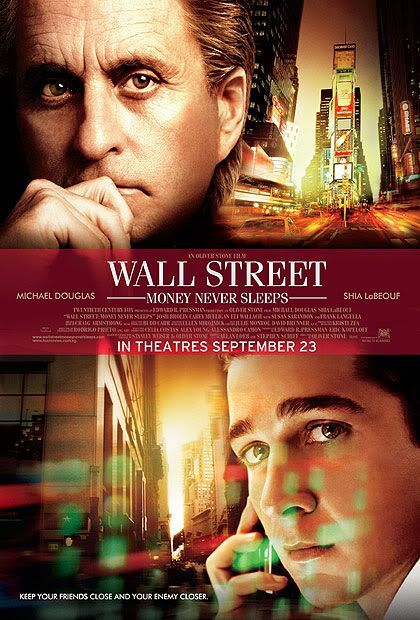 On Monday I was able to attend the world premiere of Wall Street - Money Never Sleeps thanks to Omy Blog Club! I brought Sherry along since Alaric had French class at NUS till 8pm haha. Being a world premiere, Sherry and I had to surrender all electronic gadgets that could possibly be used to record the movie! This meant goodbye to my Blackberry, camera and my Macbook. 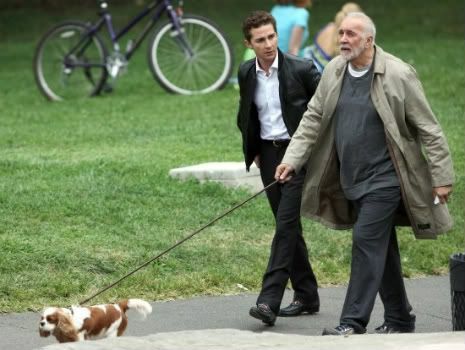 The film is directed by Oliver Stone, starring well-known names such as Michael Douglas, Shia LaBeouf as well as Carey Mulligan. 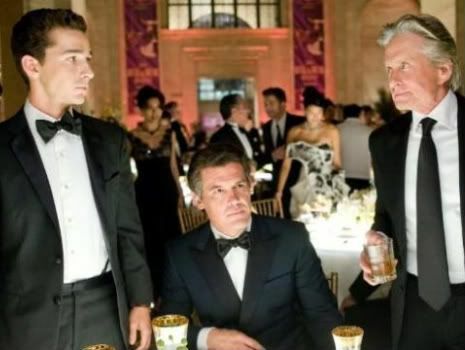 Wall Street - Money Never Sleeps is based on the 2008 financial crisis, and I can vaguely recognize some of the themes highlighted in the film such as the property market crash and the US Government bailout. This is a movie about the Wall Street though, so be prepared for the usual scenes of hundreds of men standing around computers shouting SELL/BUY into phones and/or breaking into tears. And also the occasional suicide. The film did have its light-hearted moments though, surprisingly generally from Michael Douglas. Oh and you'll be able to see how one guy can intentionally spread news like crazy and cause a company to lose hundreds of millions. P.S. The movie is almost 2.5hours long so remember to go to the toilet before it! P.P.S. I was going to do a longer post with non-movie related news but I'm too tired. Just had two class tests today :( Oh and I sent a complaint letter to Photobucket! More on that tomorrow. 7 comments on "Wall Street - Money Never Sleeps"
i must say i m quite surprised alaric survived ns cause his character is so gu niang. Anonymous: That comment doesn't even make sense. And you would know anything about Alaric how? You his girlfriend? Oooh tell us about Alaric's NS! Erm he seems a BIT metrosexual (in a good way cos guys have to take care of their looks) but quite buff too. Anonymous:Haha I wouldn't really consider him metrosexual already. I dunno he said he got Gold for IPPT, whatever that means. He's quite fit onez! Hey u~ Ur really skinny and u have quite a long face.